His life is falling apart. Dad abandoned the family. Brian hates his new school. And now a violent bully attacks him every day. Does the blurb intrigue you and hook you in? BULLYING is a HUGE problem in schools. I’m passionate about teaching kids assertive anti-bullying solutions. LOVE to hear what you think. I’m so excited with my new junior novel, I can barely type up these words. 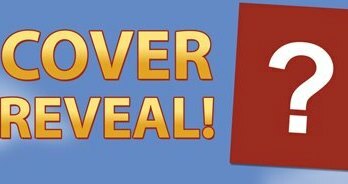 SPECIAL thanks to Trevor Salter (illustrator) for creating the front cover characters, bursting with energy and emotion. SPECIAL thanks to Anthony Puttee (cover designer) of Book Cover Café. Just LOVE his clever choice of colours, fonts and cover composition. What do you think of my COVER? Does the front cover ENTICE you to take a peek inside? I’m biting my finger nails here … Please let me know ASAP! PPS I’m announcing the launch, Reviews and High Profile supporters of STOP the Bully very soon … Please Stay Tuned. Can you PLEASE spread the NEWS to everyone you know? Fantastic Karen! These kinds of books are certainly your niche. You’re doing a wonderful job of making people aware. All the very best. The cover design would definitely appeal to kids. The title is direct and offers them a solution. I can envision a child in this position seeing STOP THE BULLY and picking it up. Anyone being bullied is looking for a discreet way out of the problem. I’m sure this book will offer them that. Good luck. 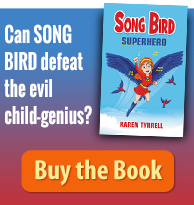 Thanks so much Kaz, That what I’m hoping for: Kids will want to read my book. So timely. So eye catching. Love the faces and the hair!!! Thanks Bruce, Yes Bullying is a HUGE problem. 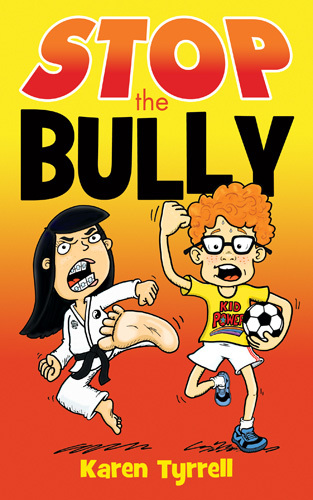 You might be surprised who encouraged me to write STOP the Bully. Thrilled you LOVE the faces and hair. Trevor Salter is brilliant, isn’t he? This looks fantastic Karen! Love the blurb – it captures the story beautifully and is intriguing. So nice to see this book come together in such a fabulous package. Good luck! Wowza! I love it! That Karate kick makes me want to find out more! I think it’s a great cover and that kids in that situation might be tempted to pick it up and take a look. The blurb is enough to get someone looking further. I know bullying is a huge problem, both in schools and the workplace! 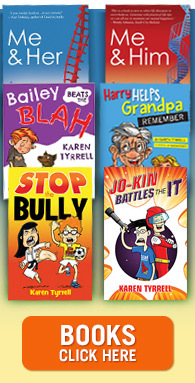 Karen, I’m sure this is an eyecatching title and cover to kids experiencing bullying! I know it’s epidemic in schools (and workplaces). I love the blurb too and think kids would want to know more especially if they’re faced with the same issues. I love the cover, the title and the blurb. I think that the cover is eyecatching enough to get a kid to pick it up and look further, especially if they’re going through it themselves. I know bullying is a problem in schools (and work) and anything that helps kids deal with that is great. I like the bright colour of the cover although I would be concerned at a martial arts student being a bully as it is not usually part of the ethos of those sports. I think that a lot(far too many) kids will relate to the absent parent part of the mc’s angst. Bullying is of course a huge problem and there always needs to be stories to help kids work out how to cope. The blurb is short and to the point. Well done. Congratulations! Looks the part for sure- I’d pick this up in a heartbeat if my kids were being bullied or were bullying others (God forbid). Hi Caylie, Thanks for your vote of confidence. Thanks Cecilia, for checking out STOP the Bully. Great cover Karen. I think it is colourful and catchy and will really appeal to kids, parents and teachers. Karen, I was never bullied as a child, but just last week, I was bullied by a man at work. It really upset me, and it takes a lot to make me angry or to get me to lose it, but I DID LOSE IT. I think I told you I have Major Depressive Disorder, OCD, Panic and Anxiety Attacks. Without going into detail about what happened, he pushed me right into a full blown anxiety attack. I was embarrassed and humiliated in front of all my co-workers. Certainly eye-catching, Karen. Take a deep breath, you’ll be marvellous! Well done, congratulations! I will be doing my usual, buying a copy of your book for my girls and one for the school. Such an important issue which is, unfortunately, still way too common. Sorry that we were bullied at work last week. But glad you’re now stronger. Bullying is a HUGE problem in the workplace and in schools. I wrote STOP the Bully to empower kids to assert themselves. Hi Karen, I haven’t read the book and I’m sure it’s entertaining and helpful. At first glance to me I don’t like the bit in the blurb about the shameful secret. It is these ideas about themselves that make people susceptible to a bully’s behaviour. Just wondering if that would reinforce this idea for those being bullied. Congratulations though on getting the book done. 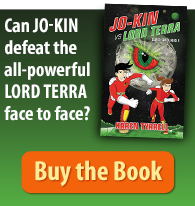 Thanks for checking out my cover and blurb. The words “shameful” is not mentioned in the book. His secret is neither the cause or reason for Brian being bullied. But revealing clues to the “secret” is essential for plot development. None of my Beta Readers predicted the ending and resolution. Major Education and mental health organizations have read and supported my book. I’ll be announcing the VIP supporters in upcoming weeks. Hi Karen, It is great that you are addressing this problem and have authored a book of fiction for kids to read and from which to learn. The cover is eye-catching, but I am curious about two aspects. Firstly, when I look at the cover, I assume that both children are the victims of being bullied and the activities they are engaged in are part of their solutions. That is great. However, the girl kicking in her martial arts uniform gives me the impression that she is dealing with the problem by kicking someone. The expression on her face shows that she is angry and she looks like she really wants to use that foot to cause some harm. If the martial arts were part of her solution and coping mechanisms then couldn’t another stance be used? My second point that I am curious about is more of a personal one. I am probably a bit sensitive about it, but I have red hair and am from a family of redheads. Is it a bit stereotyped that the boy, who I also assume has been bullied, has red hair and glasses? Honestly, my heart sank when I saw that. Also the last thing you would encourage for any child with red hair and pale skin is to play sport where they are standing in the sun for hours (at least if they live north of NSW/QLD border). It would just be more torment than pleasure. He would be better with the martial arts training as it is indoors. They are the practicalities of having red hair and no melanin. As I said, I am probably a bit over-reactive about the red hair thing; maybe in the book it is not mentioned at all. Allow me to explain. The two characters are from non-aggressive micro scenes in the book. The girl DID NOT kick or hurt anyone. The boy’s red hair and glasses have nothing to do with him being bullied. I have reddish brown hair and fair skin and participate in exercise by walking at sunrise and going to the gym. Soccer and Taekwondo are both indoor sports. STOP the Bully is endorsed by many mental health organizations. Plus teachers and Counselors.